I love mandalas in whatever form they take, however temporary or permanent, colorful, simple, filled with words or My Little Ponies or scribbles. 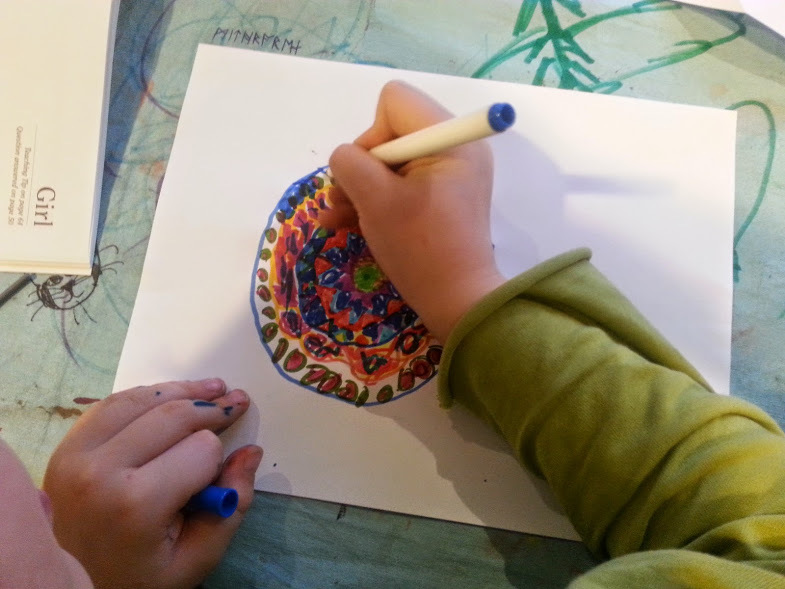 My hunch was right that the young artists would enjoy them, too, and create some beautiful designs. Tagged as drawing., homeschool., mandala. What is always so impressive to me is that every project you have done with kids are projects I would love to do as well….even though I’m a grandmother!